Climate control is an extension of Home Automation. Many homes are already using digital thermostats to provide more accurate control of HVAC. Home automation takes it to the next level. 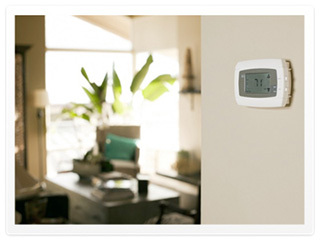 It combines multiple zones and thermostats into a single, intuitive control interface. And it provides control of the heating and cooling set-points as well as creating scheduled events and timers for the HVAC system. More control of your home's climate means more comfort and the ability to conserve more energy.